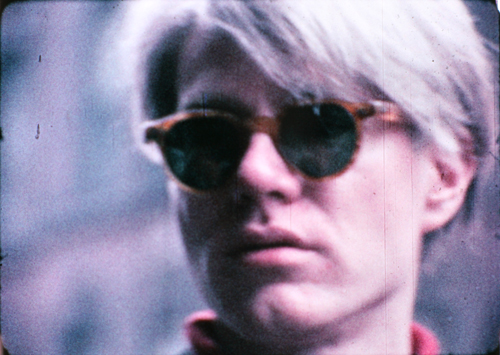 Four films which capture the atmosphere and energy of scenes made and lives lived among artists and outsiders in NY and NYC … portraits of place, time and people. Jonas, Birgit and Anja are on the Brooklyn Bridge. Taking a taxi, buying beer and drinking in the street, joking, running and dancing. A very funny afternoon. This extraordinary diary by avant-garde film legend Jonas Mekas chronicles Warhol’s everyday life and work, and the social and cultural milieu that swirled around him. Tracing an arc that veers from frenetic to reflective, it opens with Nico, and concludes with the Mass for Warhol in 1990. The film includes footage from the first public performance of the Velvet Underground in 1966. A manic collage film featuring many key artists of the time, an historical document of the early days of “language poetry” and the NY improvised music scene. Filmed on the streets of Manhattan with ambient sounds and movements and occasional pedestrian interaction, a rich tapestry of swirling colors and juxtaposed architectural spaces in deep focus. Give me money! A speedy think-piece on cash and chaos in post-capitalist New York.